The processes of producing smoked and non-smoky Lapsang Souchong are quite similar. However, the smoked Lapsang Souchong is unique in that leaves are dried by smoking, that’s the reason cause them to different from each other. The strong taste cannot represent the good quality of tea and the weak flavor also doesn’t mean worthless. Therefore a real good tea relies on its fullness and mellowness along with sweet, mouth-watering true aftertaste. 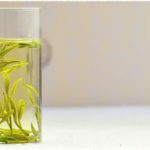 Why Does Tea Have Sweet Aftertaste? As we all know, tea is bitter in nature, but we still can taste its sweet aftertaste. 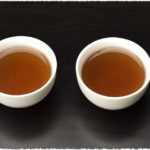 This is not only due to the contrast of taste between the entrance and the aftertaste, and a series of complex transformations in our mouth, but also thanks to some specific substances in tea. We are often been asked by tea lovers about the caffeine content of tea. Some says that they can’t drink tea with high caffeine content or ask what tea has no caffeine. Teas from Camellia sinensis are all contain caffeine. However, there are also some advanced technologies to remove some caffeine from tea, thus making a kind of Decaffeinated Tea. 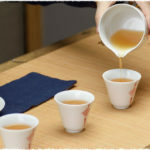 There is also a type of tea that is completely free of caffeine, such as Herbal Tea and Fruit Tea.